Did you ever make a daisy chain? 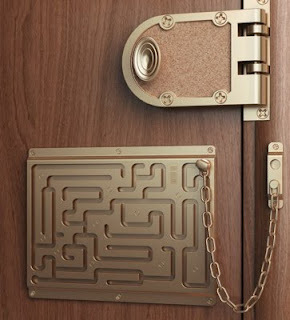 This door chain looks kinda fun. Unless you're in a hurry. This video may be considered explicit by some. It may cause a chain reaction of sorts in others. i've never made a daisy chain! I have not made a daisy chain in years! Those are all great chains! Hmn, I'm wishing for daisy chains now. Great theme! Mine's up! I never made a daisy chain. Guess that qualifies as a deprived childhood. I grew up with so many daisies on the farm- look what I missed? My HOTs is actually ON TIME this week... woo hoo. That door chain is neat! I've never made a daisy chain, but sure would like to see some daisies growing right about now (stupid winter). Fabulous chain on the door! Whoooa! Hope they never have a fire! Thanks so much for your visit today and your birthday wishes for me! Much, much appreciated. I want to take a photo of myself with a daisy crown on my head this Summer...if we grow enough daisies that I don't have to use most of those in the yard. I love that door chain! Of course it is completely impractical! I have never made a daisy chain but we did use to chain wild flowers we would find on walks when I was a kid. That door chain would drive me crazy!